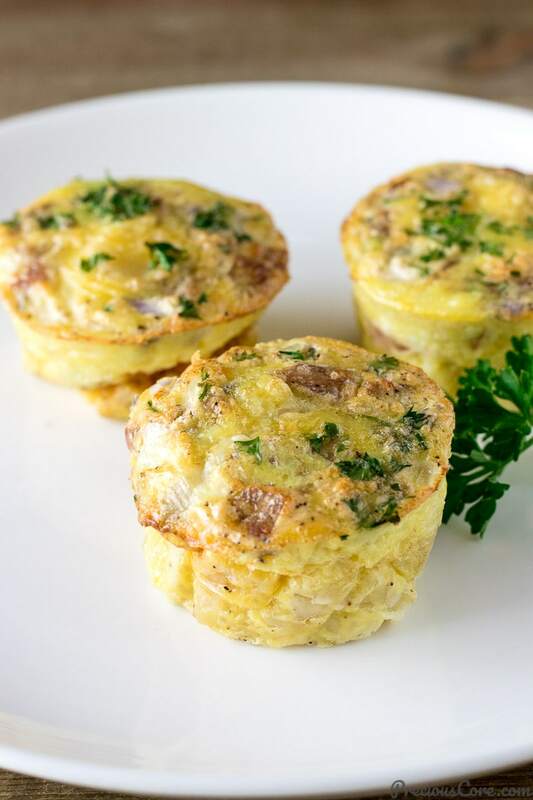 Think of these Egg Muffin Cups as mini-frittatas. 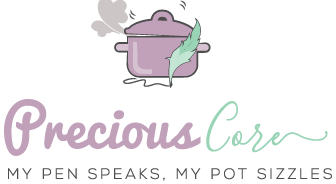 They are made with very minimal ingredients, filled with great flavor and textures from the creamy potatoes and meaty sausage. They make a great make-ahead breakfast too! My kids love them, which makes me so happy! 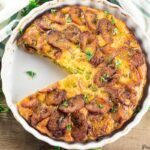 I feel like calling this the frittata of all frittatas but I won’t because I really love my breakfast frittata and this plantain frittata. I also really love a good potato frittata. 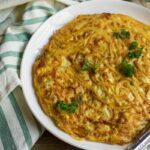 I have shared a potato frittata on my Facebook page before but just not on the blog. I should bring the recipe to the blog someday. 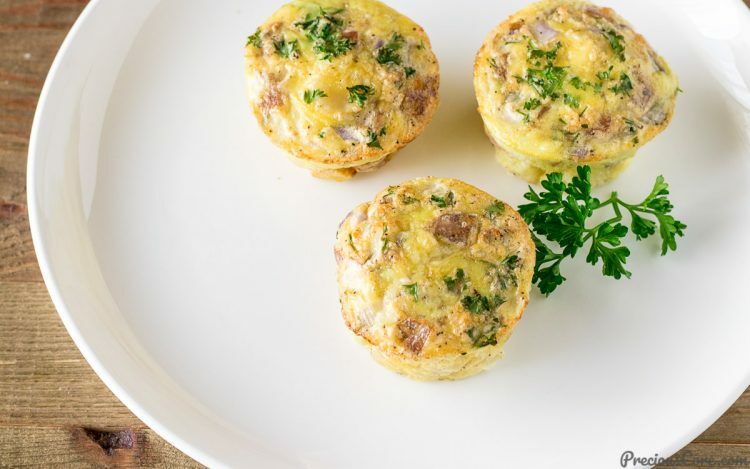 These Egg Muffin Cups are basically mini-frittatas. I wanted to make egg muffins that were so simple. You mix simple ingredients and pop them in the oven for a quick meal. 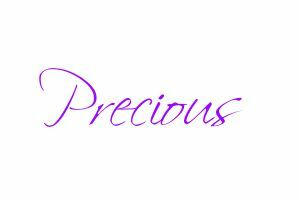 And these are truly simple! The main ingredients include eggs, potatoes, sausage, onion, and seasoning. Finito! If you love, you could add veggies to them. 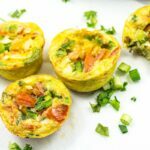 Egg Muffin Cups are so versatile! You could load them with veggies, load them with carbs, meats or make them plain and simple like this. But don’t confuse plain and simple for dumb and boring. These are not boring one bit! The soft creamy potatoes and the meaty chicken sausage with the eggs is a combo that works wonders for the taste palate. Also, the onion gives them a nice kick, balancing out the flavors beautifully! 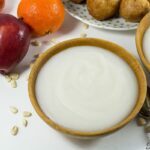 These are great for breakfast, brunch or snack time! 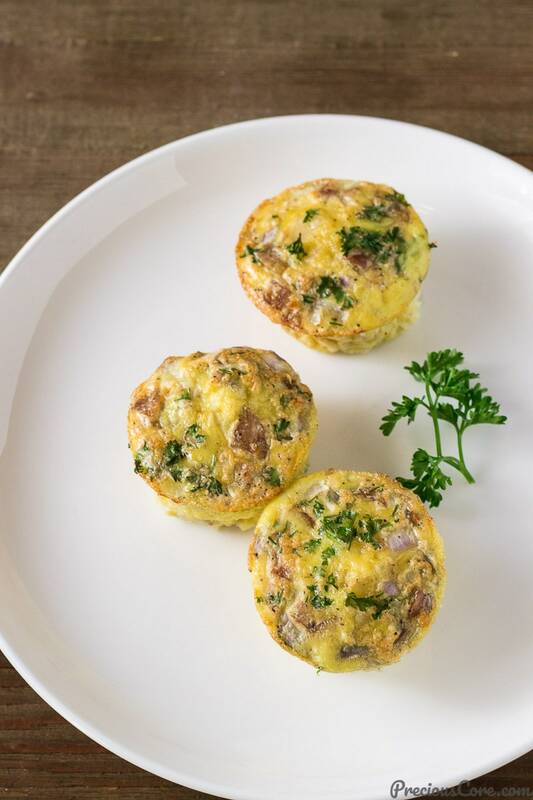 For parents, make a huge batch of these Egg Muffin Cups and keep in the fridge then simply reheat and give your kids for breakfast on busy mornings. It is a back-to-school hack you will be thankful for! How Long do Egg Muffin Cups Last? 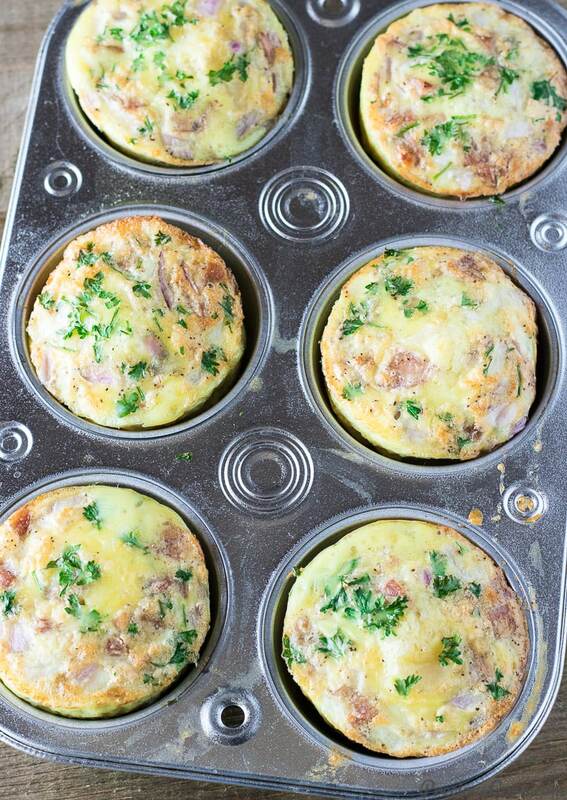 Egg Muffin Cups will last for up to a week in the fridge. If you freeze them, they could last for up to a month! 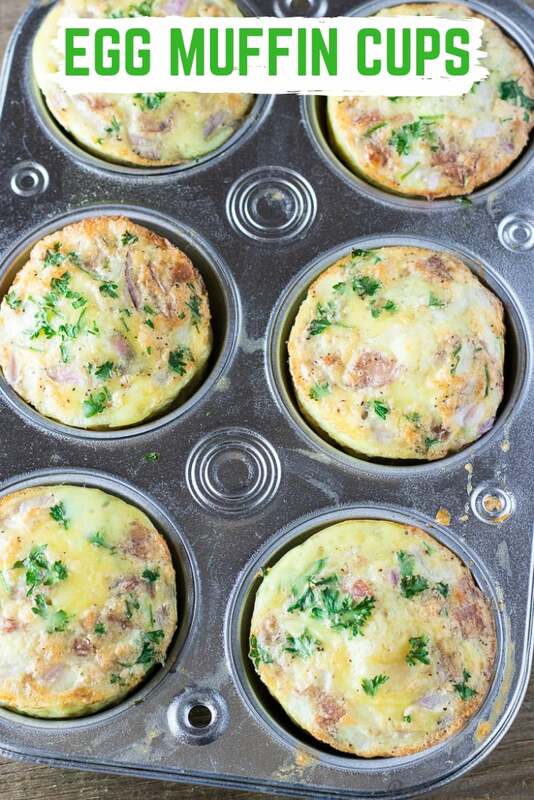 Let the Egg Muffin Cups cool completely then put them in freezer-safe bags or bowls and place in the freezer. Always keep your Egg Muffin Cups in the fridge or freezer so they remain fresh. Season with salt and pepper and beat to combine. To the eggs, add some potatoes, sausage and chopped onion then mix. 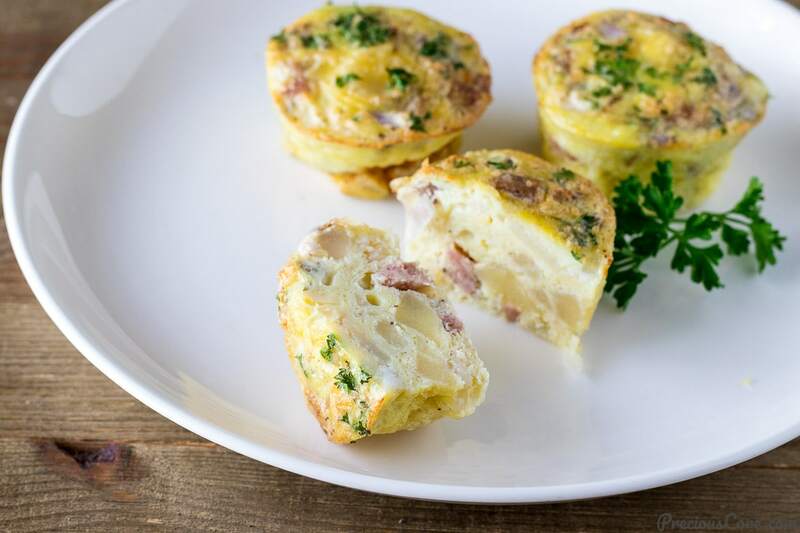 Place egg mixture into muffin cups. 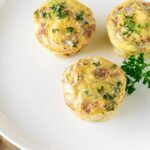 These Egg Muffin Cups with Potato and Sausage are filled with great flavor and textures from the creamy potatoes and meaty sausage! Great for a make-ahead breakfast or an easy grab-and-go breakfast. Preheat oven to 350 degrees F (180 degrees C). Brush a 6 cup muffin pan with about half a teaspoon of oil. Crack eggs into a bowl then add salt and pepper and whisk to combine. Add the potatoes, sausage, and onion. Mix everything to combine. Distribute the mixture equally among the 6 muffin cups. Bake in preheated oven for about 25-30 minutes until a toothpick inserted in the middle of an egg muffin comes out clean. You could customize your egg muffin cups by adding other ingredients you love to them. You could add some veggies, bacon, some chili pepper for some heat or really, anything you like! It is so versatile. But be sure not to overload your egg mixture. Also, depending on the size of other ingredients you may add, the mixture might become too much for 6 muffin cups. In that case, bake in more muffin cups. *Nutrition information is per muffin cup. This is exactly why I hate coming here. You always manage to leave me hungry irrespective of how loaded I am.